Should You Be Concerned About Zika Virus in Hawaii? For the last few months, I’ve been hoping I WOULDN’T have to write this post for our blog, but it seems the Zika virus is becoming an ever-growing threat to the mainland U.S. and, unfortunately, Hawaii, too. In fact, according to the Honolulu Star Advertiser, Hawaii is one of six states that the U.S. Centers for Disease Control and Prevention is focusing much of its Zika control efforts. The other states include California, Texas, Florida, Arizona and Louisiana. There have been 934 cases of Zika virus in the United States — all of which are believed to have been acquired during travel outside of the country, according to the CDC. There are no known cases of someone acquiring the disease from a mosquito bite in the U.S. The Zika virus can cause devastating birth defects, including microcephaly, a condition in which babies are born with abnormally small heads. So, why is Hawaii one of the hot-zones of concern? “Hawaii is always going to be at risk for mosquito- borne diseases, not only because we have mosquitoes year-round, but also because we have so many travelers coming to and from Hawaii with imported cases of mosquito-borne illnesses on a regular basis,” Virginia Pressler, director of the state Health Department told the paper. In fact, according to Pressler, in the past six months, there have been five “imported cases” of Zika in Hawaii. 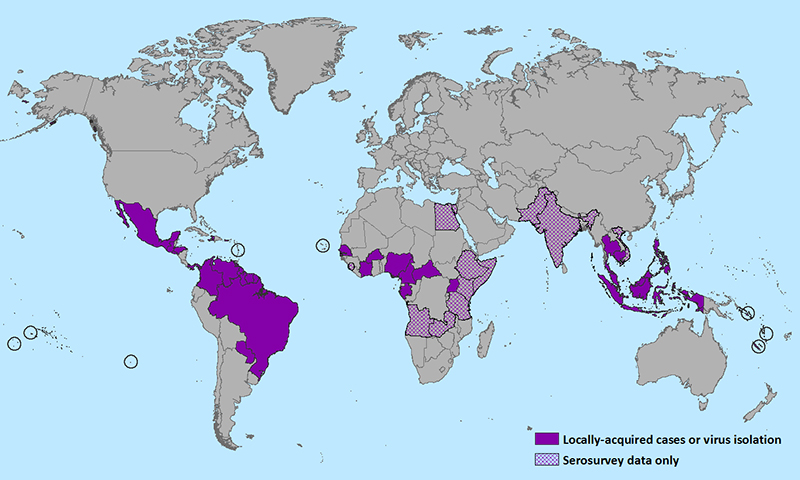 The Zika virus has spread rapidly throughout the Caribbean and Latin America. Brazil has been hardest hit, with the World Health Organization estimating that 2,500 babies will suffer from microcephaly as a result of the current outbreak. There are also active cases of Zika transmission in Pacific island countries, including Samoa, Tonga, Fiji and the Marshall Islands, according to the CDC. For U.S. and Hawaii officials, a primary concern is that someone who acquired the Zika virus outside of the country will be bitten by a mosquito after returning home, setting off a local outbreak of the virus, the paper reports. So, the question is: Should you be concerned about the Zika virus in Hawaii? According to the state Health Department, the short answer is: Maybe. But, it looks like all the state agencies involved in eradication are already ramping-up efforts to prevent any sort of outbreak in the islands, despite a congressional impasse over $1.1 billion in emergency funding to combat the virus. In fact, according to the Star Advertiser, the state is launching a revamped media campaign to prevent mosquito bites. “We know that it is impossible to eliminate mosquitoes here in Hawaii, but there are many things that we can do to be proactive to reduce the risk of mosquitoes and, more importantly, to really be proactive and ahead of the game so that none of these terrible diseases are established here in Hawaii,” the paper says Ige told reporters. 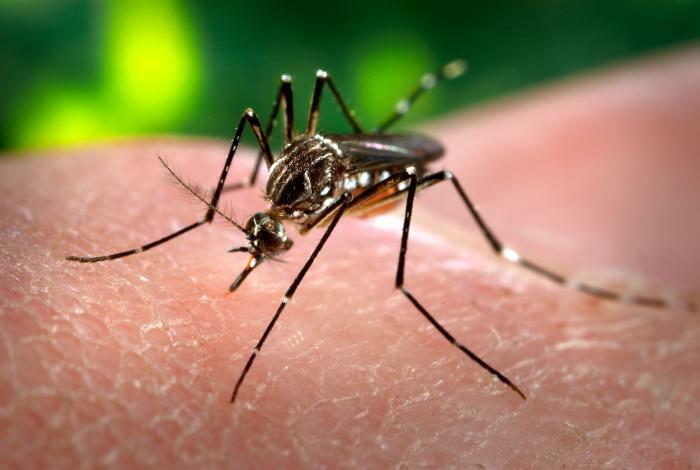 Beginning this month, you’ll likely see evidence of state efforts as, Hawaii plans to air public service announcements, on local radio and television stations statewide, about how to avoid mosquito bites as part of a $250,000 “Fight the Bite” campaign funded by the state. Placards will be plastered on city buses and at all of the main airports and hung in malls and shopping centers, reports the paper. The state has even developed a response plan, just in case. The plan, which has yet to be publicly released, is expected to form the basis for response and prevention efforts for Zika, dengue and another mosquito-borne illness, called chikungunya, reports the Honolulu Star Advertiser. So, what’s a visitor to do? Believe it or not, YOU are actually our best defense against Zika virus in Hawaii. Since it’s most likely any outbreak would stem from an outside source, it’s important you postpone or cancel your plans to visit Hawaii if you have any symptoms that might be from the Zika virus. And, once here, visitors should cover-up and use insect repellent. An additional layer of protection? Before you book any Hawaii activities, talk to your tour professional about places that might be experiencing an outbreak, and avoid those areas. The folks at Hawaii Aloha Travel will be “in the know” if there is an oubreak in Hawaii. So far, Hawaii has been fortunate not to have any “home-grown” cases of Zika virus. So, let’s keep it that way!